What used to be called “Downtown Disney” has been renovated, relaunched and is now truly worthy of a visit. I can highly recommend a few restaurants, and some great entertainment. This is a great option for your first day at Disney World, the kids are always hungry when you land and you can get in a little Disney without spending up for a park entrance ticket. 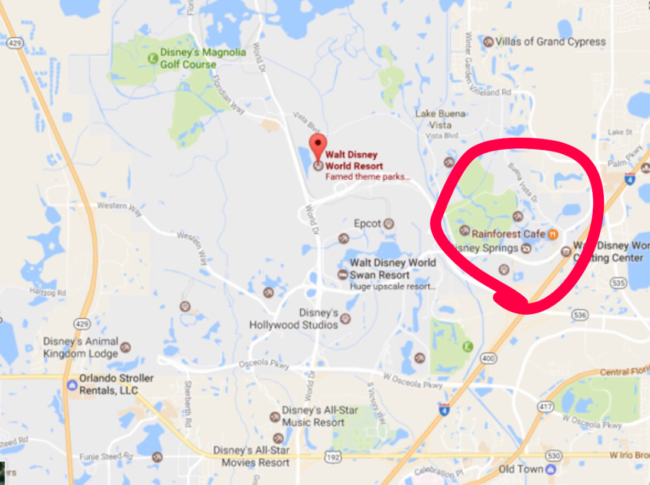 Though it was called “Downtown Disney”, the new Disney Springs is not really near the parks. It’s about an 11 minute drive from Magic Kingdom or the Four Seasons Orlando and the parking is free. They are running a few shuttles from some of the Disney hotels, I would say it’s faster and easier to hop an Uber. 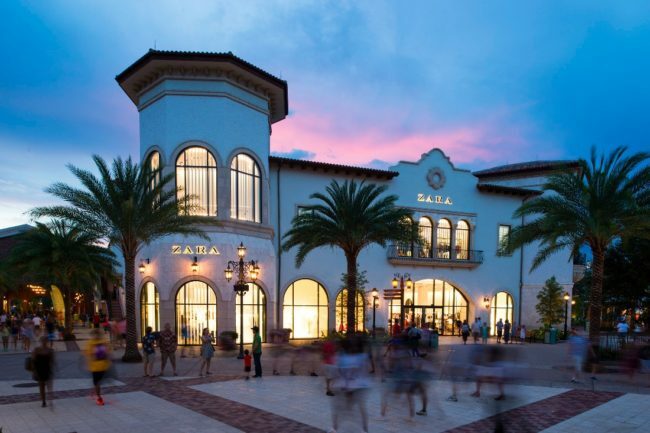 Disney Springs is a hub of shopping, food and entertainment. You won’t find any amusement rides or characters, but with a little guidance (from me) you can have a better than average meal and a fun night for the kids. If you have been panicking about getting a reservation at Be Our Guest, skip it and hit one of the restaurants I recommend, the food is better. Just bring your own dying rose and you’re all good. 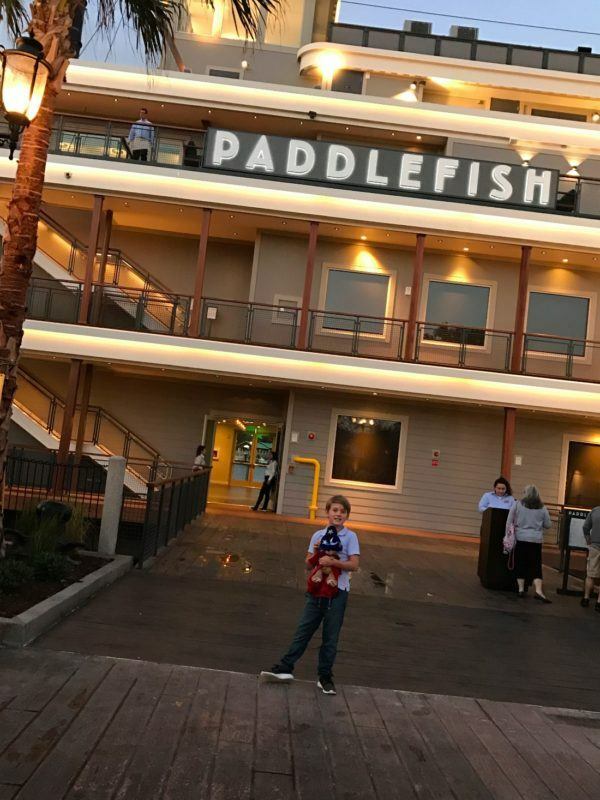 Paddlefish is a serious seafood restaurant onboard a stationary paddle boat in the middle of Disney Springs on Lake Buena Vista. For serious Disney fans, it was formerly Fulton Crab House. The atmosphere is a little “big restaurant”, but the food is amazing. The boys and I visited not long after the restaurant re-launched and had a chance to meet the chef. Having grown up in Seattle, I’m a seafood snob, I can vouch for the food. The crab legs are ENORMOUS, the fries with a crab poutine are ridiculous and the chocolate bourbon pecan tart is a specialty the chef created from his mom’s recipe. Trust me, eat here. If you are thinking of ordering the crab legs, Keaton got a lesson from the chef on the proper way to eat them, he has mad skillz now, watch his How To video. Morimoto is a great option to get away from what can feel like a lot of heavy food when visiting Disney. Chef Masaharu Morimoto of Iron Chef fame opened this family friendly pan Asian restaurant in 2015. Expect to find the usual suspects of sushi rolls and sashimi, but if you’re feeling splurge-y, spring for the Sushi and Sashimi Imperial Tower for $200 – you’ll get chilled whole lobster, Alaskan king crab (I really love crab, can you tell? ), oysters, shrimp cocktail, nigiri and sashimi – feeds 4-6 people. La Nouba is the resident Cirque du Soleil show under the big top at Disney Springs. 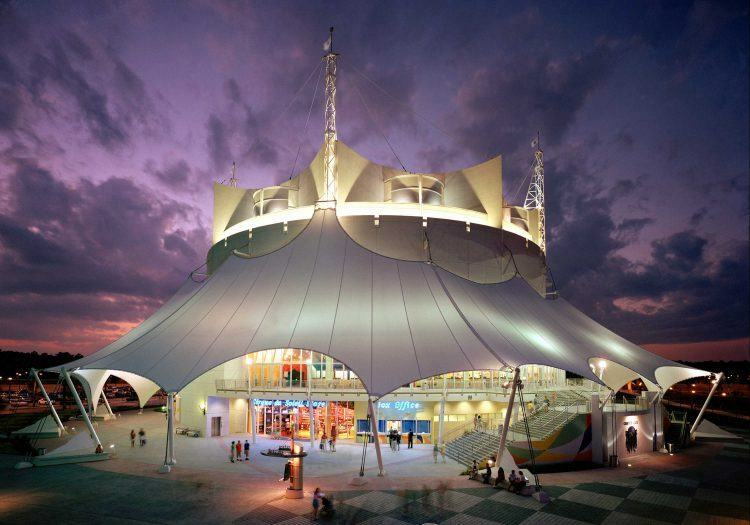 This is a real Cirque show, acrobatics, french clowns and all. I cannot recommend this show enough, it is so fabulous for children and adults. Get there a little early, there’s always something fun happening while guests are finding their seats. 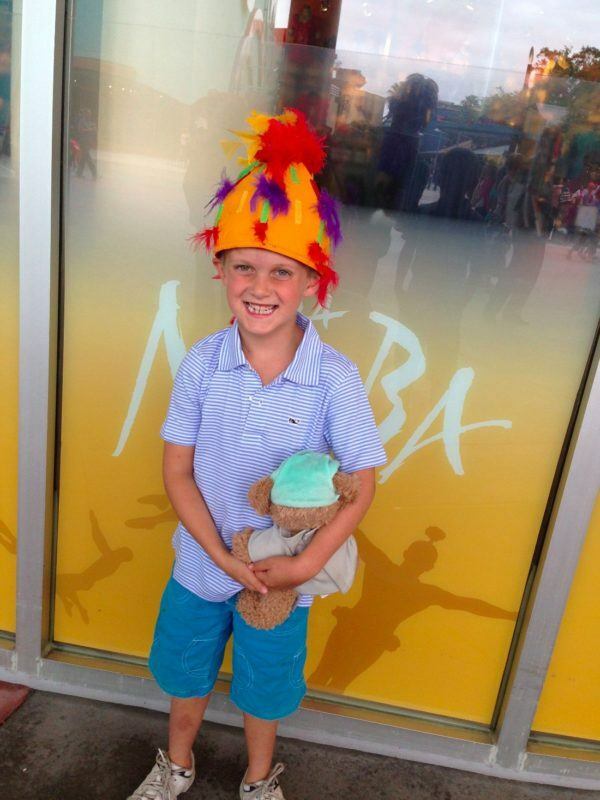 This was Keaton’s first Cirque show four years ago, and apparently a gateway drug, because he has now seen almost every show Cirque du Soleil has staged in the last few years. Tickets start at $59 and the show runs 90 minutes without intermission. 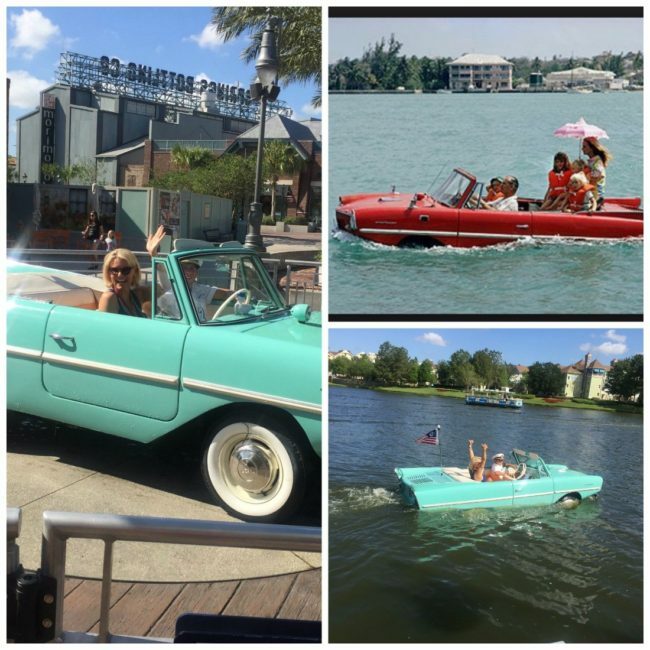 As far as I’m concerned, going for a ride in an antique amphibious car is reason enough to visit Orlando. I became obsessed with these cars after seeing the iconic Slim Aarons photo (above right). These cars were sold in the 1960’s, President Lyndon B. Johnson famously owned one and liked to trick friends into thinking his brakes had failed and the car was crashing into the water. You can hop a ride next to the Boathouse restaurant, the cost is $125 per car, you can get a discount if you buy lunch at The Boathouse (I have not eaten there so I can’t vouch for the food). While you are there, take a walk around the dock behind the restaurant, they have an impressive collection of antique boats. What is it about bowling that kids love so much? Where we live the only bowling alleys are pretty sketchy, so Splitsville with its retro styling, upscale food (think sushi and grilled avocados) and wine, is a winner for mom too. 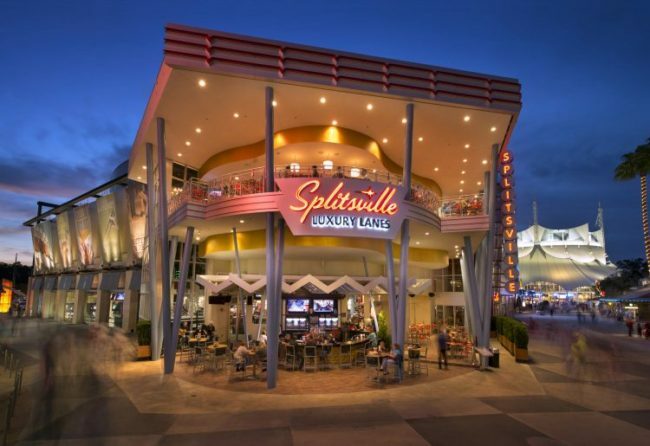 There are 2 floors, 30 lanes and most importantly, 5 bars at Splitsville. You can walk in, depending on the time, you may or may not have to wait. Or book a lane ahead of time, you can reserve a lane for up to 8 people, you’ll get unlimited bowling and access to all of their menu options. 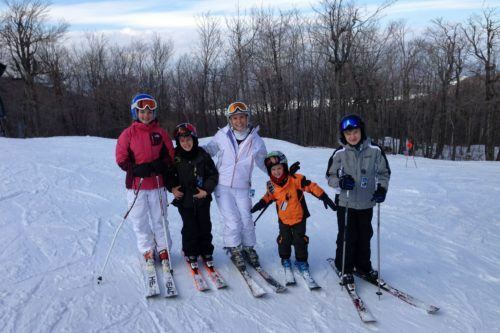 Click HERE to get the ball rolling on a reservation. I crack myself up. I have been hosted by Disney on several occasions. I pay for all my own booze, amphicar rides, etc. I feel strongly about good food and stand behind these recommendations. I will only recommend something I have tried myself and would suggest for my best and pickiest friend.